Visit 15 dynamic, dazzling capital cities around the globe, then start making plans to travel for real. Each stop includes beautiful footage, informed and friendly narration, regional music, and useful insights into each capital's customs, cuisine, architecture, and landscape. 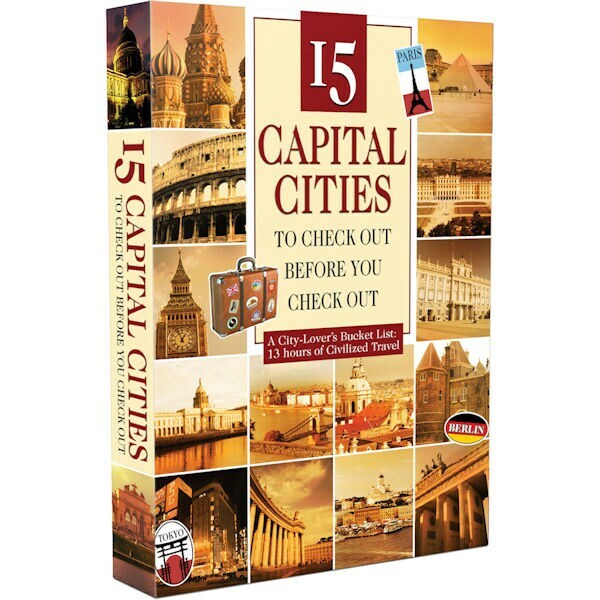 Includes Amsterdam, Berlin, Budapest, Dublin, Edinburgh, Helsinki, London, Madrid, Moscow, Paris, Prague, Rome, Tokyo, Vatican City, and Vienna. 13 hrs, 5 DVDs.